Wandering around the ancient town of Hoi An (Hội An), tourists will not only be confused about various shops of outfit tailored but also perplexed by the question what and where to eat. The fact is, Hoi An, one of must-see attractions in Vietnam, has a series of excellent places for tourists to eat and drink. Land based or floating, on the riverfront, across the water on the An Hoi islet, scattered throughout town, and lining both An Bang (An Bằng) and Cua Dai (Cửa Đại) Beaches, they range in a wide selection for different classes of people. Being a home to a variety of specialty dishes, some of which could be traced to foreign origins, Hoi An offers both tourists and locals a wide selection of Hoi An restaurants. This checklist will suggest you some of the best Hoi An restaurants, helping you decide the places to have a meal for your next trip. Take a quick look! The first and foremost when it comes to Hoi An restaurants is exactly Mermaid. 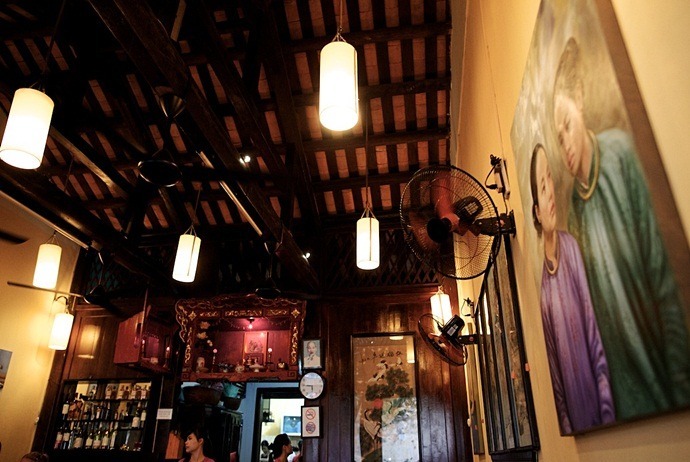 Owned by Ms. Vy, Mermaid has been one of the most famous and love Hoi An restaurants with the age of over 20 years. It became instantly popular among tourists as it was the first place to cater for expatriates and tourists whilst still maintaining the traditional cuisine. The menu of this restaurant offers a wide array of local dishes such as white rose, fried wonton, signature dishes like stuffed squid with veggies and pork, mackerel in banana leaves, and filled tomatoes. This restaurant is housed in a two-storey historical establishment, which is located just a 5-minute walk from the local Hoi An market. Having a great blend of architectural designs of Vietnam, France and China, the building is also a symbol of Hoi An’s architecture. Inside the restaurant, the interiors are adorned with relics and murals, and antique furniture, whilst the second floor features a more intimate and romantic setting with big arched balcony giving a great view of Hoi An old town. When visiting Moon restaurant and lounge, you are served with special dishes from Hoi An, and a selection of western dishes. It also has convenient set menus to opt for. Streets has awarded membership to Clinton Global Initiative since 2014 and is a non-profit organization built in 2005 with the purpose of supplying training and employment for those with disabilities and street kids in the hospitality and catering industries. The trainees working at this restaurant are also a part of the training program. Here, they could learn to cook as well as serve both contemporary Vietnamese and international cuisine. The profit from this Streets restaurant will reinvested for the future training. 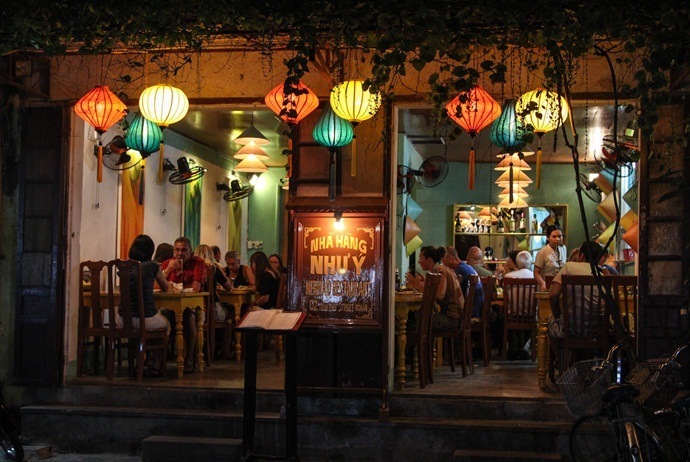 Situated in the Old town’s center, Streets is deserved one of the worth-trying Hoi An restaurants for every tourist. The Morning Glory may be among the culinary highlights when you visit Hoi An. It is located opposite to the Cargo and next to Tam Tam (Tâm Tâm) – all are great destinations in town to savor Vietnamese specialties. At this restaurant, guests are offered a number of options, from classics such as Quang noodles (Mì Quảng) and Cao Lau (Cao Lầu) to much more contemporary creations. Ms. Vy, the owner of Morning Glory shows her own passion to Hoi An culture and traditions through her dishes. The historic premises as well as the façade of the building are an obvious reminder of the French colonial period. Inside the restaurant, the interior is beautiful decorated for a good dining experience. Though the price is rather high for local standard, yet you will get what you pay. The seabass rolled around the oyster mushrooms and served with red risotto is a must-try dish for tourists when coming here. Besides, you should also enjoy the delight shrimp curry, mango salad and BBQ chicken. Much of the cooking organizes right before your own eyes, in the middle of this restaurant, so you will have a nice touch with what you will enjoy in the meal. Set in about 2 acres of wonderful tropical gardens, with open air pavilion style establishments, the Red Bridge restaurant is perfect for a relaxing meal. Contemporary and traditional Vietnamese cuisine, enthusiastic chefs and attentive staff have made this restaurant a popular site for tourists to Hoi An. Keep reading this list of Hoi An restaurants to discover more interesting quality places to eat in this Old Town! Mango Mango is an ideal restaurants among many other Hoi An restaurants that provides guests with a great view of Hoi An’s river at night. Situated across the riverbank, Mango Mango is in an area which now becomes very popular among travelers who would like to enjoy shopping for crafts as well as souvenirs at the market and then have a great meal away from the bustling city center. The restaurant offers both Vietnamese cuisine and western dishes. 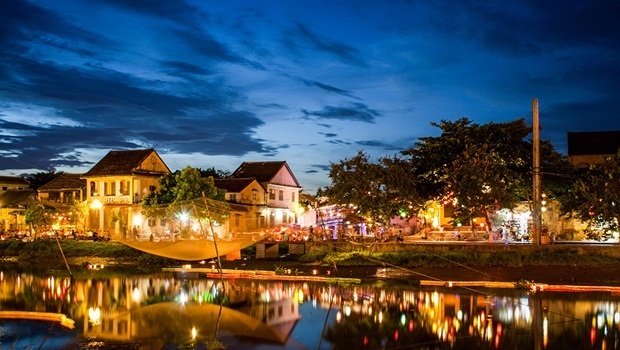 Despite the prices are rather high than other Hoi An restaurants, the location of across the Japanese Bridge makes it a wonderful site to enjoy the stunning river view, which lights up with a lot of colors, local vendors, and flying lanterns in the evening. Looking across the Lantern-lit River, Cargo Club is a colonial styled restaurant which showcases admirable quality as well as service. When coming here, you could have a taste of an Asian or home twist. One of the most out-standing highlights of this restaurant is the tasty pork-stuffed squid and the light seared Tuna with blackened sesame crust along with wasabi mash. 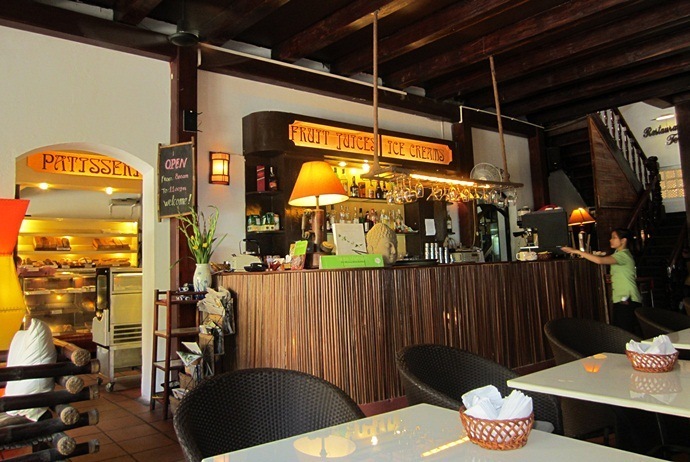 Cargo club is an easy-to-find restaurant thanks to its colonial decoration and rattan chairs. Get a balcony seat or at least the upstairs pew, and then enjoy the peaceful view there. If you want to enjoy a true combination of music, art, and local food, then go for Ancient Faifo. 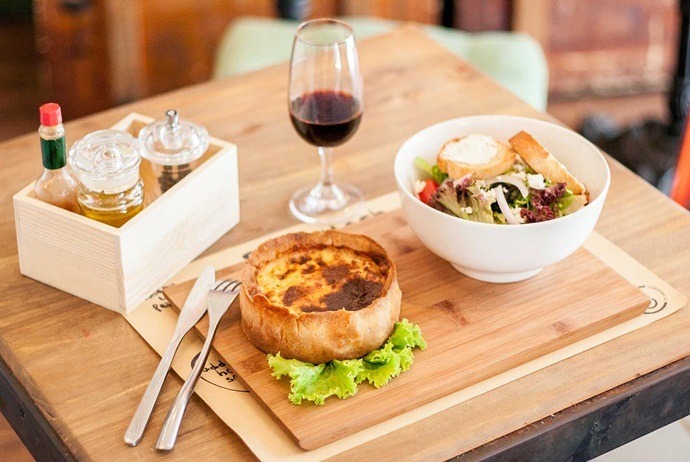 It is a beautiful restaurant which includes a relaxing café space, a bar area, and a restaurant decorated throughout with antique furnishing ceramics, and paintings. Used to belong to Vietnamese artists, Ancient Faifo owns an art gallery showcasing great works of local Vietnamese artists on a regular basis. The menu of this restaurant presents traditional recipes with a slight touch of modern fusion. Having four separate set menus, Ancient Faifo also has a good selection of tapas. 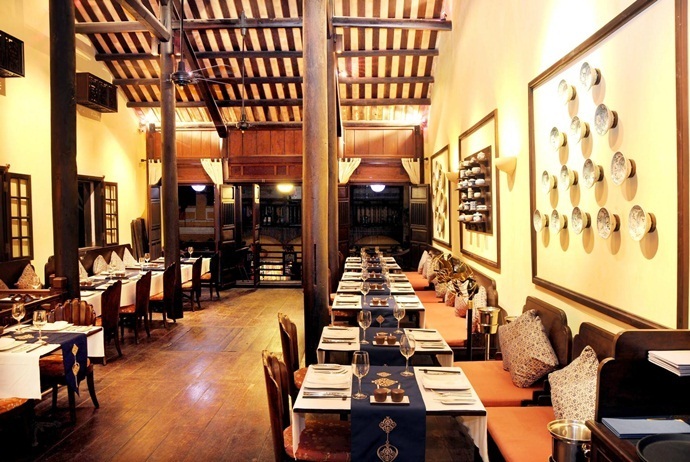 This is the first wine bar and restaurant in Hoi An, situated in the heart of this old town. The two-storey building has been renovated so far but still retains its character and charm from its original version. From here, you can observe Thu Bon River. 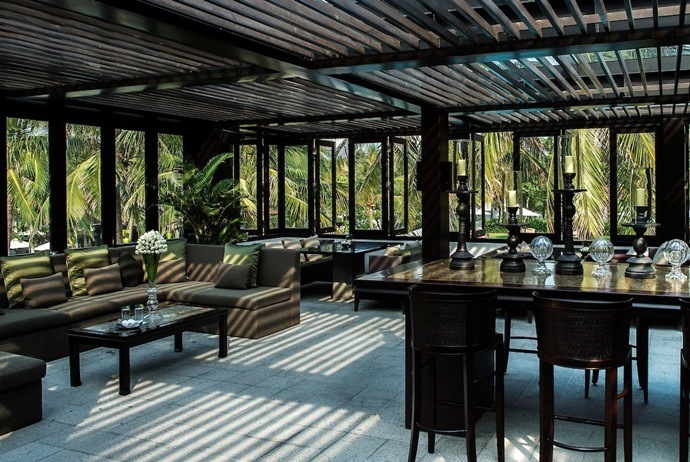 The restaurant and lounge, stylish bar of White Marble allow guests to sit back and comfortably relax while soaking in the color and vibrancy of life in Hoi An old town. Inside White Marble, comfy interiors are lit by warm yellow color, providing a low-key, relaxing, but tasteful atmosphere. Despite the menu of food is simple, it still features with quality regional cuisine and a wide selection of tapas. You can enjoy a chilled sauvignon blanc, or well-known Bordeaux red, or choose from the extensive list of international high quality wines. This restaurant also offers international main meals and light snacks. White Marble is really a meeting point for tourists to Hoi An and also a perfect place to begin and finish your “old town” experience. A combination of Vietnamese and Japanese flavors, U (Ừ) Café is situated on the river, taking about 20 minutes of walking from Hoi An Old Town towards Cua Dai (Cửa Đại) Beach. This café is perfect for a break way from sightseeing and shopping, and is definitely eco-friendly. The structure and equipment of this café are specifically designed to decrease a negative influence on the river by recycling water. For the food, the same values are also applied. The coffee and drinks served here are sourced from local markets as well as organic farms. 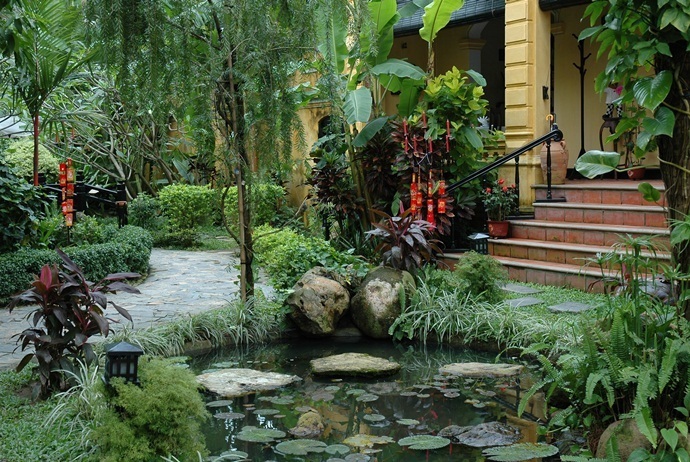 Plants, fishponds, lotus flowers throughout totally 3 levels of the café promote the satisfaction of the meal. There are many Indian Hoi An restaurants, but the next one is among the best, so don’t skip it! Among many Hoi An restaurants, despite this Indian restaurant is not a luxurious one like the above, it still gets good reputation among backpackers. It will be a little bit of a splurge, compared to most Hoi An restaurants around, yet worth it. For those who need a break from Vietnamese food and have a hankering for Indian, then Ganesh is an ideal option which serves up unusually solid curies and big portions of naan. The garlic is specifically tasty, especially after not having any doughy bread for a few months! Here, you can also order madras and saag. This is a vibrant bar with one restaurant situated upstairs. It is a great option for those who want to meet friends and enjoy some western favorites before going downstairs for enjoying loud music or a game of pool. There are many regular events and promotions, making sure its popularity with the local youth and tourists. 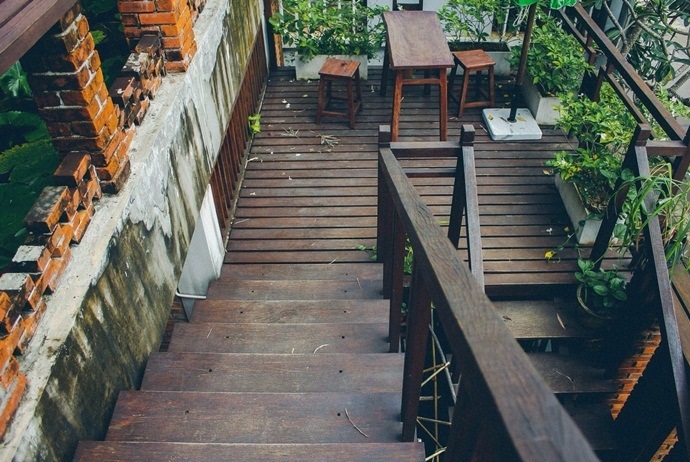 Used to be a French-era police station, this establishment has been turned into one of the most stunning and peaceful venues in Hoi An. Situated on Thu Bon River, this café comprises and dining area inside along with an open garden looking over the river, making it a great site for a quiet drink whilst watching the dawn. 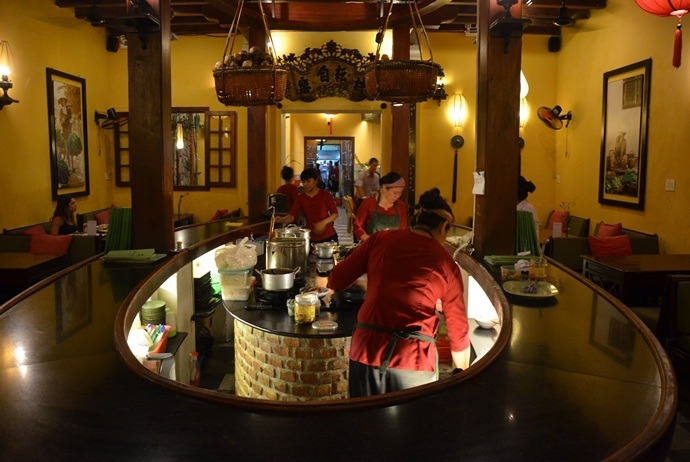 Because of its premium position along with the historical value, Brother’s Café is considered one of the most luxurious and expensive Hoi An restaurants. Yet, the scenery really makes it worthy for a night out. With high quality and generous portions of food, coming here, visitors will definitely have a satisfying experience. The café has 5 different set menus plus with buffet sets. Here, some special events are hold regularly, including sunset cruises, the Lantern Festival, or many other ceremonies by arranging buffet sets as well as activities around them. 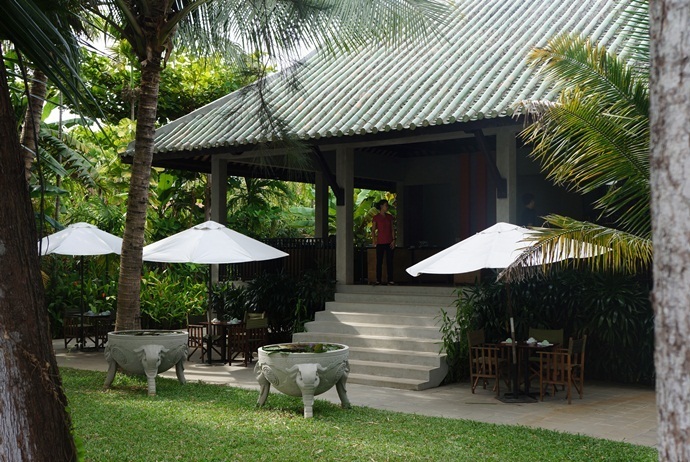 Own by Chef Hung, who has over 20 years of experience in working with international tourists and hospitality industry, the Tropics Garden Café is one of the most relaxing, spacious and peaceful Hoi An restaurants. This restaurant is tucked away in a small alley. Here, you will enjoy both delicious local food and Italian dishes. An exception to most Hoi An restaurants, in this restaurant, Chef Hung doesn’t use any MSG in his process of cooking. With a wide selection of international wines, cold beers, and healthy food, this restaurant deserves one of the must-visit Hoi An restaurants. On the other hand, Hung also puts his absolute love of food and enthusiasm into cooking classes which are suitable for those who want to understand more about Vietnamese food culture. This café is run by an Australian NGO (non-government organization) to train the local youth to work in resort / hotel / restaurant industry. 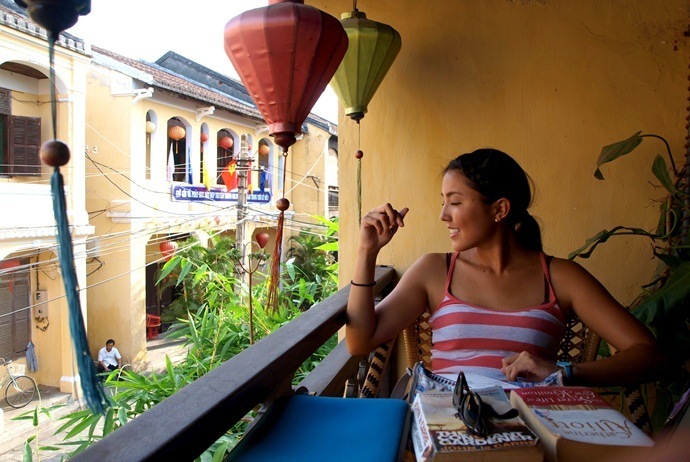 It is truly a great stop for tourists to have a cup of coffee after a long day of discovering Hoi An. Serving delicious food, Laugh Café also has icy cold beverages and beer along with free Wifi. Mostly, it is run by those trainees who are helpful and friendly. This community-oriented restaurant offers a menu including a substantial amount of vegetarian local food like Cao Lau, white rose. Among dishes offered in this restaurant, the chicken with lemongrass might be the most outstanding. It is difficult to select the best food because there is a wide selection and it is almost impossible to try everything. However, each dish offered is really great for most tourists. Situated in a landmark establishment, right in the heart of the old town of Hoi An, Hai Café Bar and Grill is really an impressive site for tourists and locals to enjoy different meals of the day, including breakfast, lunch, dinner and a snack. The restaurant itself boasts two separate indoor dining parts and one large garden courtyard. During daytime, it provides guests with a relaxed setting for a casual coffee with family or friends, a break from sightseeing or shopping, or for lunch. During nighttime, the restaurant becomes a great hub of activity when customers watch the chefs in action in an open-air kitchen. 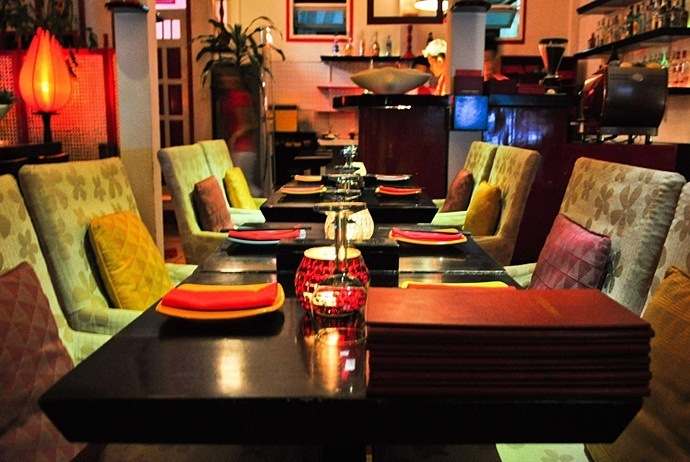 The most impressive point of about this restaurant is that it serves great food in a relaxed and informal atmosphere. For example, the nightly barbecue here offers a delicious range of fresh meat and seafood cooked with healthy fresh herbs, and served with both Vietnamese and international sauces. Also, there are a number of other traditional Hoi An dishes in this restaurant. For previous 21 years, Miss Ly has been cooking for traditional Hoi An dishes, like Cao Lau, fried wonton along with white roses, and her own made dishes, turning her restaurant into a friendly and vibrant site located in the heart of the old town. The menu of this restaurant is extensive, with a regional taster menu, supplies an excellent chance for tourists to enjoy authentic Hoianian taste at reasonable prices. The comfortable and relaxing atmosphere here plus with the stylish interiors of this spot make Miss Ly Cafeteria an ideal destination for those tourists to unwind from the hustling of the center whilst still witnessing the stunning view of surrounding historical establishments. There, the above are 16 out of best Hoi An restaurants for you to consider when visiting this old town. This old town still remains its fusion of colonial French and ancient Vietnamese beauty and unique culinary heritage, made of cuisine like Cao Lau, Quang Noodles, and shrimp dumplings. With this checklist of 10 highly recommended Hoi An restaurants, you will never be confused about where to eat in Hoi An. Try out some of these restaurants and let us know your ideas by leaving words below this post. We love hearing all of your ideas!